Settlers - D Bell, T. Eagleson, F. Kindred, A. Tindall. Settlers - B. Beaton, E. Dehnert, M. Harker, C. Miller, H. Nield, A. Proctor, A. Robertson, H. Slight. 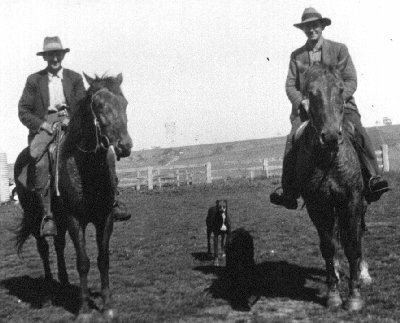 Settlers - L. Arnold, H. Barby, G. Brooker, A. Burn, W. Day, G. Eldridge, A. Fitzgerald, L. Gibbs, A. Green, W. Kettle, B. Madex, A. McIntosh, D. McKenzie, A. McLeod, A. Murrell, C. Newbold, N. Robb, L. Taylor. 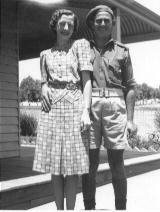 The parents, friends and loved ones of those who fought for Australia during World War II had, without exception, known the sadness, the grief and the loneliness which had followed the loss of so many young men who fell in the slaughter in foreign lands during World War I - the war longingly portrayed as 'the war to end all wars'. This widely-shared experience resulted in a deep determination that when the young men and women came home to the cherished peace after World War II, there would be something better, whatever the cost, for their fresh start into a new era. The record levels of unemployment and the paralysis of world trade during the Depression of the 1930's and the period before the outbreak of war in 1939 need to be compared with the the nation's activity in wartime. During World War II everyone had a job, and people largely accepted government direction about getting on with the task of winning the war, and achieving the hitherto unparalleled levels of production necessary for victory. With that background plus the little-understood, but nevertheless important, developments in economic theory, governments developed wide-ranging and essentially practical systems of rehabilitation. 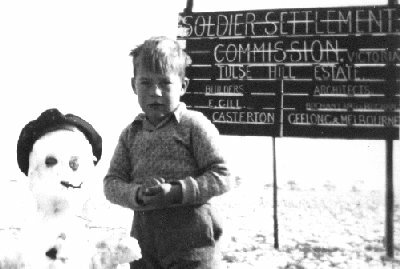 In this new spirit of commitment the Soldier Settlement Commission was established late in 1945. The commission provided ex-servicemen with an opportunity to go on the land on a way that offered the triers a real prospect of success. In the process, new opportunities were also opened up for their partners and their children. Christina Jamesina McDONALD, b. 1866 Coleraine, married William McDONALD in 1890 and moved to NZ. A section of "Tulse Hill" was converted into 4 Soldier Settlement blocks in 1948 with the new owners being: R. Bell, T. Eagleson, F. Kindred and A. Tindall. B. Beaton, E. Dehnert, M. Harker, C. Miller, H. Nield, A. Proctor, A. Robertson, H. Slight. L. Arnold, H. Barby, G. Brooker, A. Burn, W. Day, G. Eldridge, A. Fitzgerald, L. Gibbs, A. Green, W. Kettle, B. Madex, A. McIntosh, D. McKenzie, A. McLeod, A. Murrell, C. Newbold, N. Robb, L. Taylor.